WASHINGTON DC, WASHINGTON, UNITED STATES, October 30, 2018 /EINPresswire.com/ -- Web Design is one of the most important aspects of your online presence. It's the digital face of your business where the customers can demonstrate what your business offers. That's the reason, it is essential that you make sure your website is designed in such a way that it makes everything easily accessible to find what your customers are looking for. Thus, GoodFirms has uncovered the list of Best Web Designing Companies in India that can help you design innovative websites using latest tools which don’t have to be disturbed in future. A website can be a great platform to communicate with customers and other business owners. But, it is also important that you design an impressive website because as the customer visits your site for the first time and perceives what they see first on your website. At GoodFirms you can find the Top Web Design Companies in New York and from all across the globe along with ratings and reviews. A well-crafted website can be the best way to build a reputation and create the recognizable identity for your business. This will also attract the loyal customers, so they can continue to make purchases in future from your site. 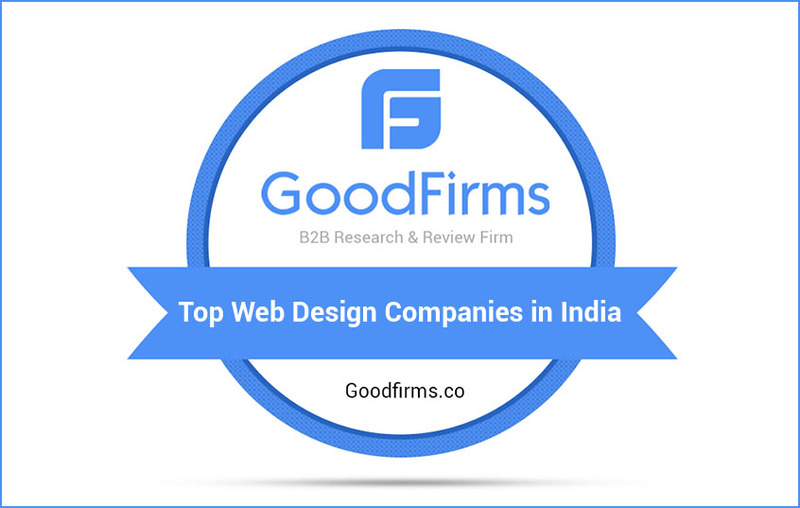 Here, GoodFirms is globally acknowledged as a B2B research and reviews platform that builds a bridge for the businesses to get connected with top design, development companies. The analyst team of GoodFirms performs a profound assessment which consists a number of qualitative and quantitative statistics. It verifies each company using various metrics such as determining the complete portfolio to understand the background of the company, market presence and client reviews. Moreover, GoodFirms also invites the firms from all different categories to come forward and participate in the research firm. And get indexed in the list of top companies in their expertise. Getting listed will also give them the opportunity to be more visible and attract customers from worldwide. Check out the latest released list of GoodFirms of Top Web Design Companies in Los Angeles based on ratings and reviews. GoodFirms is a Washington, D.C. based research firm that aligns its efforts in identifying the most prominent and efficient web design companies that deliver results to their clients. GoodFirms research is a confluence of new age consumer reference processes and conventional industry-wide review & rankings that help service seekers leap further and multiply their industry-wide value and credibility.